Where can I do an online dating background check? Well, if your date is from Eastern Europe or Russia, there is a professional background check company that can do it. I will talk about that option below. If you happen to have been dating someone from the US, you can instead easily do it with one of the online people finder background check programs available. 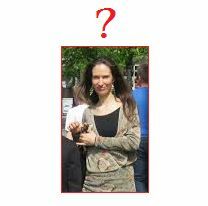 At the bottom of this page you find a link to another page on this website where I talk about a very good program that can easily do a background check for you, on anyone in the USA! But the key is still like I'm always pointing out - to get their whole name. And not everyone is willing to give that out in the beginning. An important thing to think about when dating online is communication. How does it work between the two of you? Does she or he seem genuine? Like the person he or she claims to be? Do the pictures that she has been sending look realistic? Do the stories she tells sound like they could be true? Or is there something that just doesn't feel totally right? 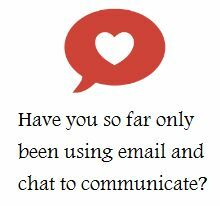 Have you only been using email and chat to communicate so far? Then get her to use Skype with you! She has no web cam? Get her to go out and buy one! Or even just to borrow one from a friend or use one at an internet cafe! This is not something you have to do at the very beginning though. And to be really honest, women don't like when the first thing a man she chats with says 'do you have web cam?'. A woman wants to talk first and get to know you before inviting you into her living room! Even if it is through a camera lens. It is not only for those of you dating Russian women, it is for women (and men too!) from all the countries listed below! The price is a little below 120 US dollars, because this is not a program or search engine, it is a real person doing the check - so your date you are dating better be worth it. 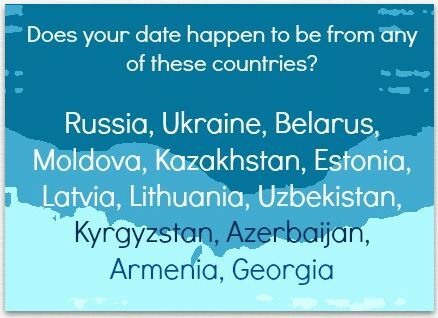 If your date is from any of these countries, the website I mentioned is not only good for ordering background checks, but also for answering all sorts of questions related to the online dating background check issue. Dating from overseas is not always easy and there is a lot of things to watch out for that we might not know about if we are new to this. It is good to make sure that the person you are talking to really is who they say they are. Because after all, anyone can create a cool online profile with the kind of stuff they know their 'victims' are looking for. (see a wikipedia page about this if you want). But sure, some people may be near perfect and also totally honest, and I'm seriously happy for you if you have found someone like that. But to be on the safe side, Skyping first and then meeting in person (as soon as possible) is always the best way to go. So, you can use the one I mentioned above for interneational searches, and here is a suggestion on a US background check search to use.